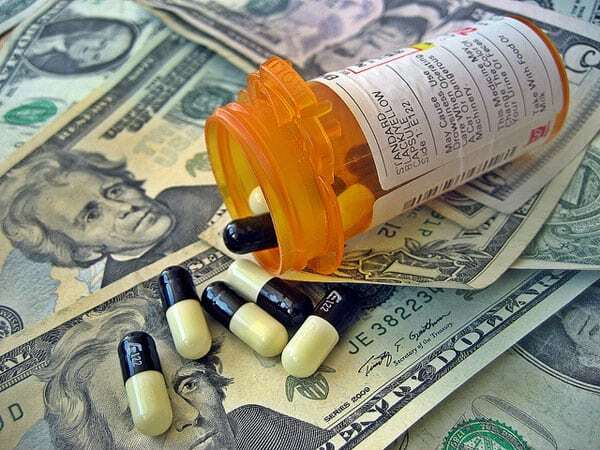 “The drug industry is dishing out millions in grants and donations to organizations in cities, counties and states that have sued the companies over the deadly US opioid epidemic,” reports Jared Hopkins in Bloomberg. The money is pouring into places that have been hollowed out by the epidemic. Wholesaler Cardinal Health Inc., for example, this year gave $35,500 to a nonprofit in hard-hit Clermont County, Ohio, where overdoses have soared for more than a decade. In all, the company has given at least $3 million to some 70 groups—some with ties to plaintiffs in the litigation. Additionally, drug wholesaler McKesson Corp. seeded a standalone nonprofit dedicated to fighting the opioid-abuse crisis with $100 million, and distributor AmerisourceBergen Corp. started its own opioid-focused grant program. Amerisource said it is still processing most applications, and couldn’t provide details, but has announced a $50,000 grant to three Boise-area hospitals to launch a program to help patients who overdosed on opioids. For example, Oxycontin maker Purdue Pharma, owned by the descendants of Mortimer and Raymond Sackler, profited the most from the drug. But it is now running ads in major newspapers touting its initiatives to limit the use of opioids. “Corporations can deduct or donate up to 10 percent of their annual taxable income,” notes Hopkins. “But a company can violate self-dealing rules if giving is seen by the Internal Revenue Service as using its charity to benefit the company, including paying debts or fines,” according to Marcus Owens, an attorney who specializes in nonprofit law for Loeb & Loeb LLP. “That sort of coincidence might suggest self-dealing, but in order to make that a case the IRS would have to know more about how the donations were structured,” explains Owens. Alexandra Lahav, a University of Connecticut School of Law professor, says the contributions could be a tactic in settlement talks or discussions with regulators, and while the donations wouldn’t be applied dollar-for-dollar in a settlement agreement, they show goodwill on the part of the company. Like many firms in legal jeopardy, the drug distributor AmerisourceBergen, facing a massive number of opioid-related lawsuits, has upped donations through its foundation. Whether this will stem the legal tide remains to be seen.